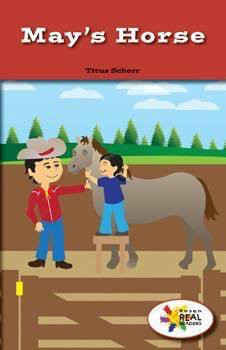 In this fictional narrative, May does all the tasks necessary to take care of her horse. Bright illustrations and domain-specific vocabulary will allow the reader to learn and understand the central message of how important it is to help out and do chores. This fiction title is paired with the nonfiction title Grass Is Green.